Siraitia grosvenorii is a traditional Chinese medicinal plant that is principally cultivated in Guangxi Province of China. Fruits of S. grosvenorii have been used for thousands of years as a natural sweetener, and as folk medicine for treating lung congestion, colds, pharyngitis, constipation and acute bronchitis in the Chinese Pharmacopoeia. Mogrosides, the major active constituents of S. grosvenorii, are a mixture of cucurbitane-type triterpenoid glycosides that have been proven to be powerful and zero-caloric sweeteners. They can hence be used as a sucrose substitute for diabetic and obese patients. Therefore, it is necessary to discover the mogrosides synthesis-related pathway and study its physiological effect such as anti-tumor. 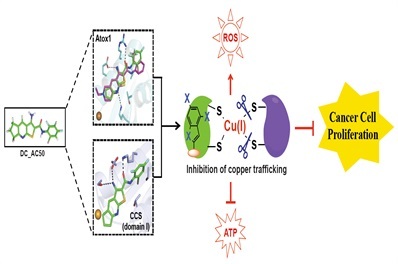 The Laboratory of Functional Sugar and Natural Bioactive Products led by Dr. SUN Yuanxia at Tianjin Institute of Industrial Biotechnology (TIB) of Chinese Academy of Sciences successfully identified a multifunctional P450 (CYP87D18). When it was co-expressed with cucurbitadienol synthase (SgCbQ) and cytochrome reductase (CPR) in yeast, three key compounds 11-oxo cucurbitadienol, 11-hydroxy cucurbitadienol and 11-oxo-24, 25-epoxy cucurbitadienol were obtained and confirmed by Nuclear Magnetic Resonance (NMR) analysis. The results obtained help to understand the order of cyclization, glycosylation, and esterification reactions during the mogrosides synthesis pathway. This group meanwhile purified the compounds mogrol and mogroside V and tested their anti-tumor effect. They discovered that mogroside V possessed tumor growth inhibitory activity in models of pancreatic cancer by promoting apoptosis and inhibiting proliferation and survival of pancreatic cancer cells. Moreover, mogroside V could increase survival of the mice, indicating that this natural compound might possess potential therapeutic activity and could be used for daily consumption as an additive in foods and drinks to prevent or treat pancreatic cancer. Given that mogroside V is a natural sweetener that has been approved by the United States Food and Drug Administration, those results will help to screen new anti-tumor drug and promote the higher potential application of Siraitia grosvenorii. This work was supported by National High Technology Research and Development Program of China. The papers have been published in journals of American Journal of Cancer Research, Plant & Cell Physiology, and Oncogenesis. A study team from Shanghai's Rui Jin Hospital has found that the tumor marker for stomach cancer can be tested through urine, the hospital revealed on Wednesday. This has significance in treating stomach cancer as the disease may now be detected at an early stage.